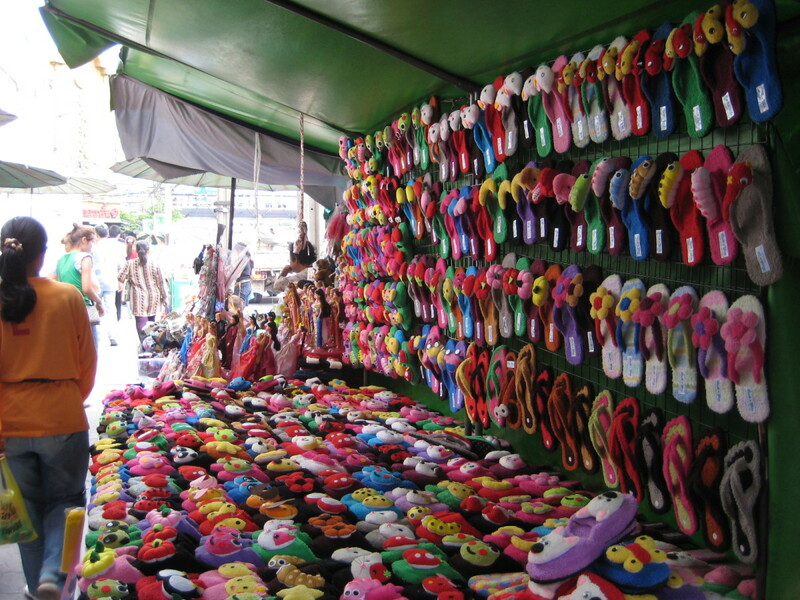 Bangkok has an endless variety of guest friendly budget hotels in the 1000 price range. But some of the cheapest priced quality hotels in Bangkok have small rooms. And for families or small groups of budget minded travelers a small room won't cut it no matter how cheap the room cost. Bangkok's Centric Ratchada Hotel is the perfect answer for group travelers on a budget who need plenty of space to rests after a long day on their feet exploring the sights and attractions in Bangkok. Centric Ratchada hotel is not exactly at the center of Bangkok like Sukhumvit district. Though it does border it. 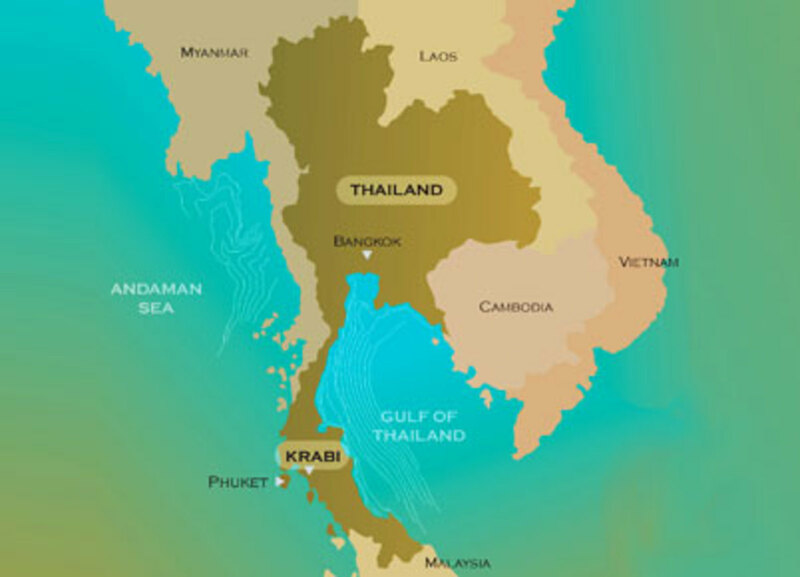 So the location of the hotel is in a quieter area which some might enjoy rather than stay in the often traffic congested districts of central Bangkok. 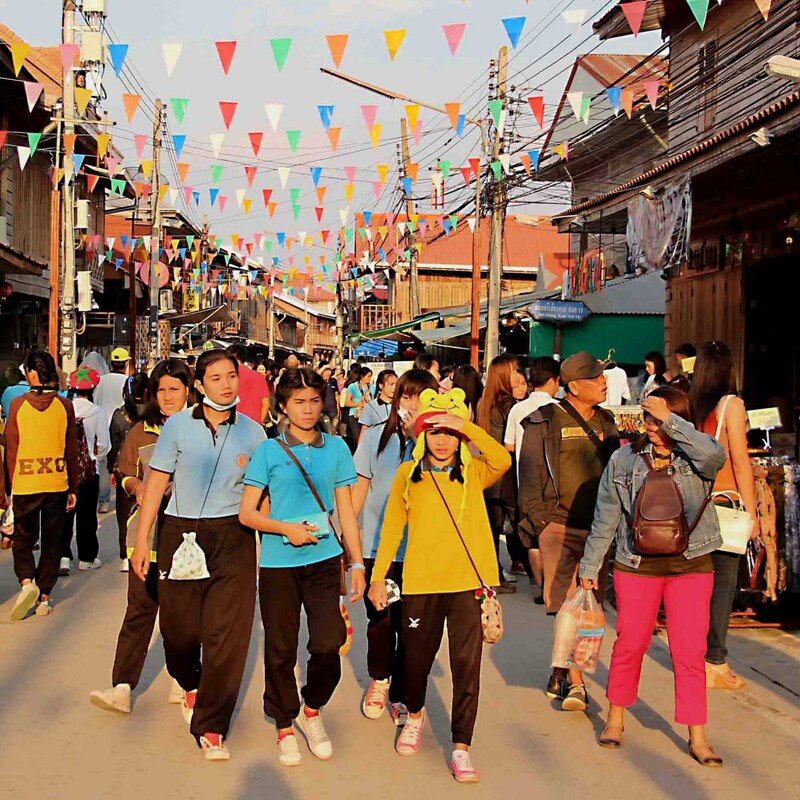 But there are plenty of things to do near the Centric Ratchada such as wandering around a big mall and sampling local Thai cuisine with plenty of western fast food restaurants for kids that just won't eat anything else. 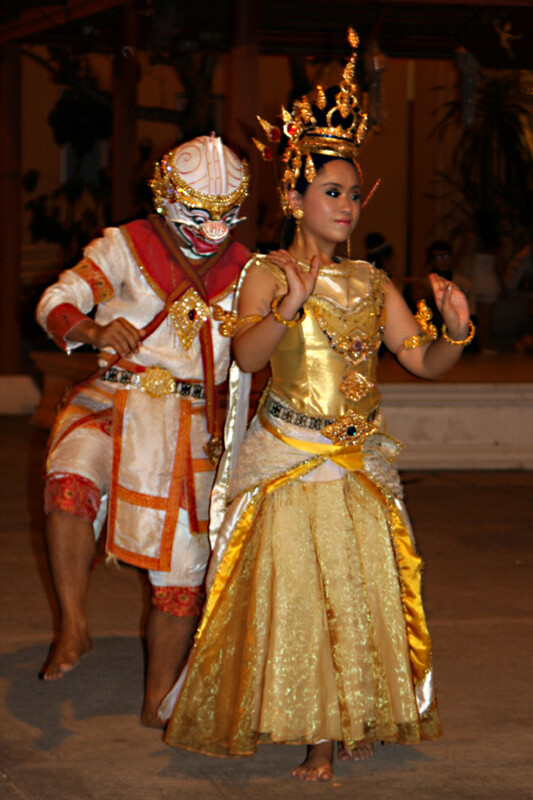 Bangkok has a well known reputation as a city where men can have naughty sexual exploits. There is a massive complex near the Centric Ratchada Hotel with a windmill called Amsterdam. 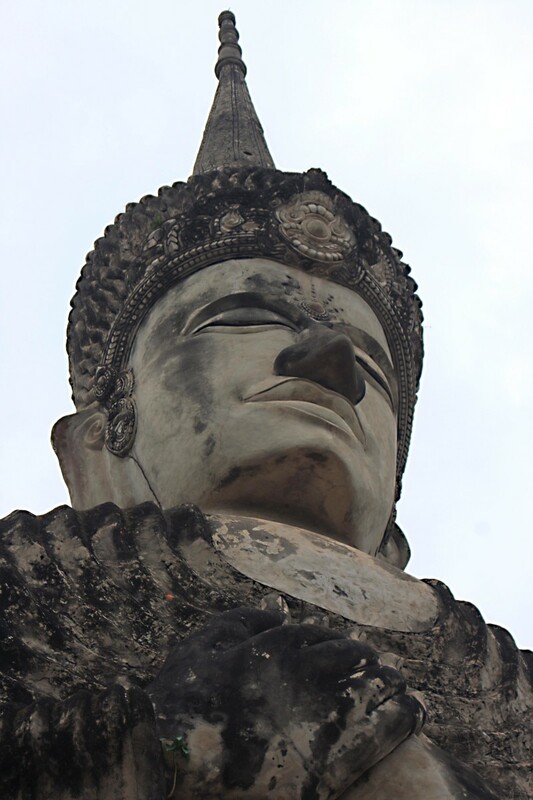 It's not a European attraction supplanted in Bangkok. It's actually a soapy massage parlor which is basically a well dressed brothel where men pay for sexual services. But as usual most of the exploits of such establishments do not spill out onto the streets of Bangkok as it does in the Nana and Soi Cowboy red light districts of Bangkok. 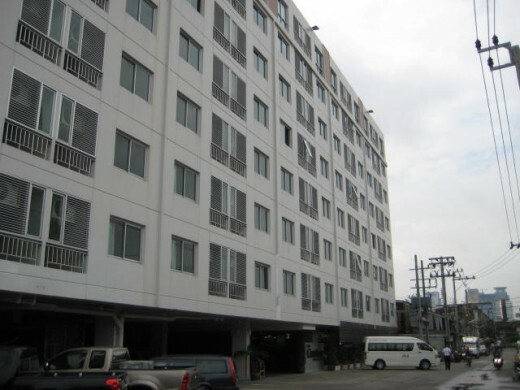 Centric Ratchada Hotel is positioned in a residential area that is not in the greatest condition. Please don't let neighborhood put you off even when you see motorbike and car repair shops operating outside of the hotel. Think of it this way. You'll be staying at an area more in touch with real Bangkok than the towering hotels and office buildings throughout central Bangkok. And it's all part of the adventure. I found better room rates for Centric Ratchada Hotel thru Agoda.com. If you're traveling as a large group for example a family of 4 (2 adults and 2 kids) you can easily fit into a standard room comfortably. The beds are so big you can fit 4 people on 1 bed and this have a bit of space to spare. Or if it comes down to it someone can sleep on the rather large couch. As you can see from my video review of my stay at the Centric Ratchada there is a lot of space. Come to think of it the room looks smaller on video that it actually is. I would estimate that the room I stayed in was at least 35 - 40 square meters including the separate dressing room and bathroom. When I booked my room it came with a breakfast buffet and I have to say that if you are the type that eats breakfast make sure you get down there early. 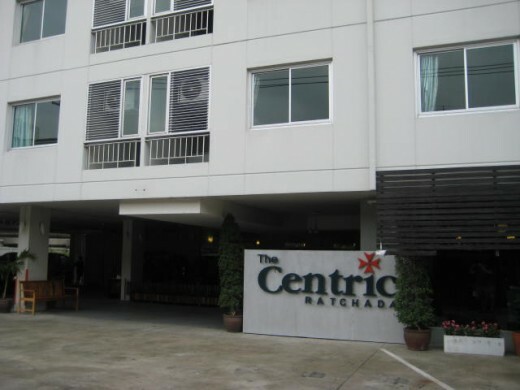 Centric Ratchada is a very popular budget hotel with the young tourists from Japan. These tour groups have to wake up early to join their tours so the breakfast area located in the lobby fills up fast. For breakfast you will find Thai and Western style food such as noodles, fried rice, eggs cooked to order and bacon. The immediate are surrounding the hotel is a very quiet residential area. There are a few restaurants serving cheap food and a 7-Eleven store on the main road. Next to that is a Pizza Hut restaurant which will deliver to the hotel. About a 10 minute walk to the main road of Ratchadipsek is Fortune Town Mall and a large supermarket called Tesco. Those are great places to pick up groceries and you should especially pay a visit to the food courts for some delicious cheap Thai food. And just outside of Fortune Town is the MRT underground subway train which can take you to Sukhumvit district in 5 minutes. There are lots of cheap budget hotels in Bangkok around 1000 Baht but Centric Ratchada Hotel is one of the better affordable quality hotels I've had the pleasure to review.